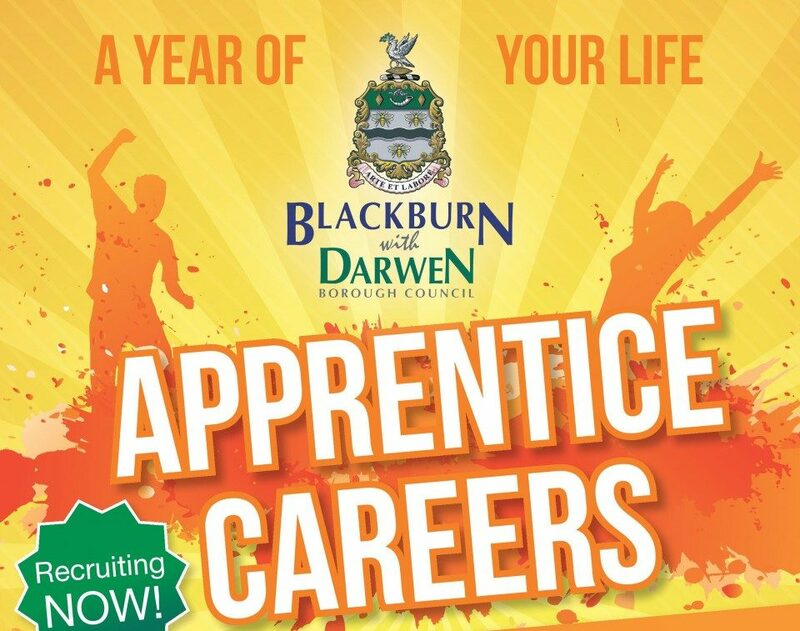 Check out new apprenticeships at Blackburn with Darwen Council at an open evening this April. An information evening is taking place in Darwen with our managers showcasing the roles they have on offer. Last year’s events attracted more than 200 people. The event takes place on Thursday, April 26th at Darwen Library Theatre from 5.30pm to 8pm. Blackburn with Darwen Council has between 40 to 50 Apprentices working at any one time right across the organisation from Children’s Services and HR to Highways, Public Protection and everything in between. Our Chief Executive, Harry Catherall, started his career as a 16 year old Modern Apprentice at Tameside Council, and has since enjoyed a career spanning three decades. 85% of our Apprentices go on to secure further employment within the Council at the end of their training, with the rest taking up external opportunities. There’s never a dull moment here – the work we do is continually changing as lots of things dictate our priorities and influence what activities we need to focus on, so no two days are ever the same.